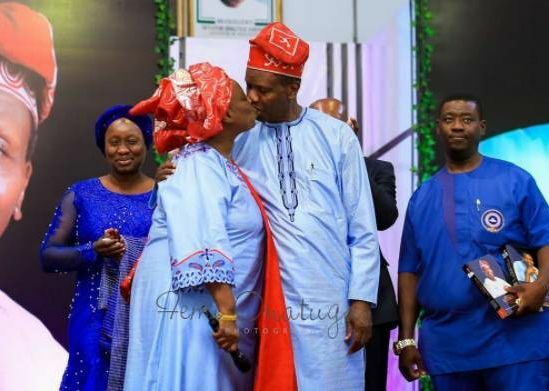 The General Overseer of RCCG, Pastor Adeboye publicly kissing his wife, Foluke during a book launch at the RCCG camp ground. They couple have been married for 50 years. Let somebody shout Halleluyah!! !